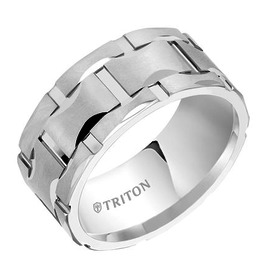 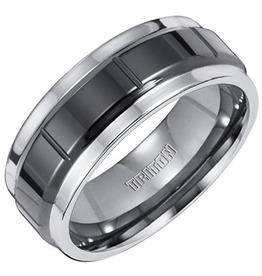 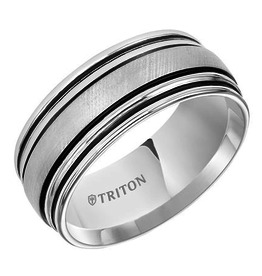 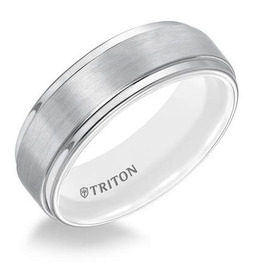 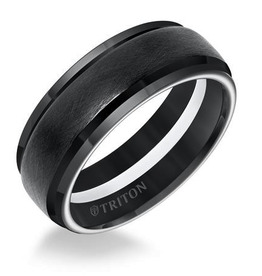 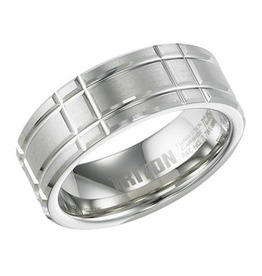 Tungsten Carbide Bevel Edge Comfort Fit Band with wood inlay. 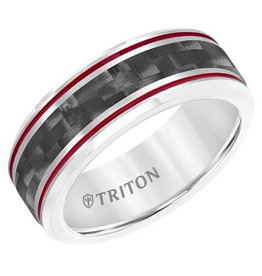 Tungsten Carbide Band with Carbon Fiber Insert, Fire Red Stripes and Beveled Edge. 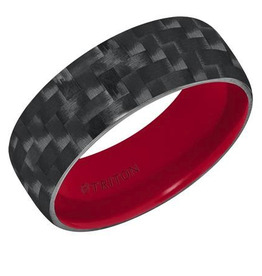 DOMED BLACK CARBON FIBER TUNGSTEN AIR COMFORT FIT BAND WITH FIRE RED INSIDE COLOUR AND BRIGHT POLISH. 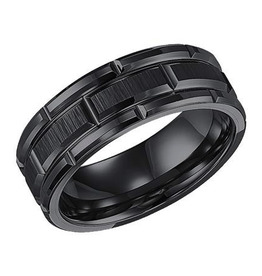 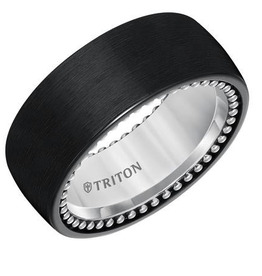 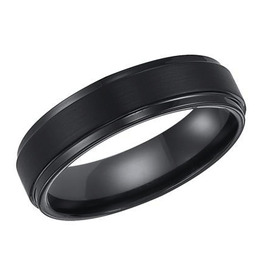 BLACK TUNGSTEN CARBIDE SATIN FINISH FLAT CENTRE WITH BRIGHT STEP EDGE COMFORT FIT BAND.